I have a thing about Wisterias. We’re in a very good part of the UK to grow them and to see old specimens. 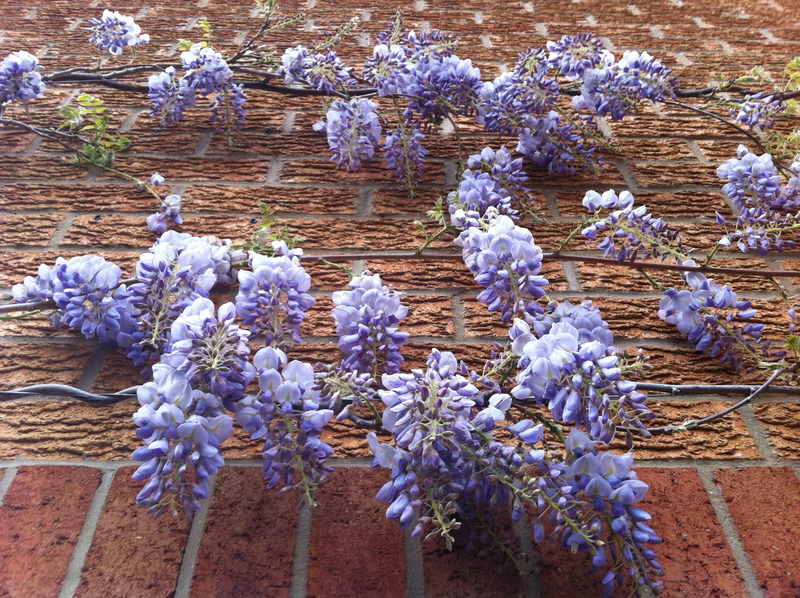 A page of this site is even dedicated to a “Wisteria Diary” that is charting how ours is growing, beginning with when it was first planted in the ground beneath the kitchen window. 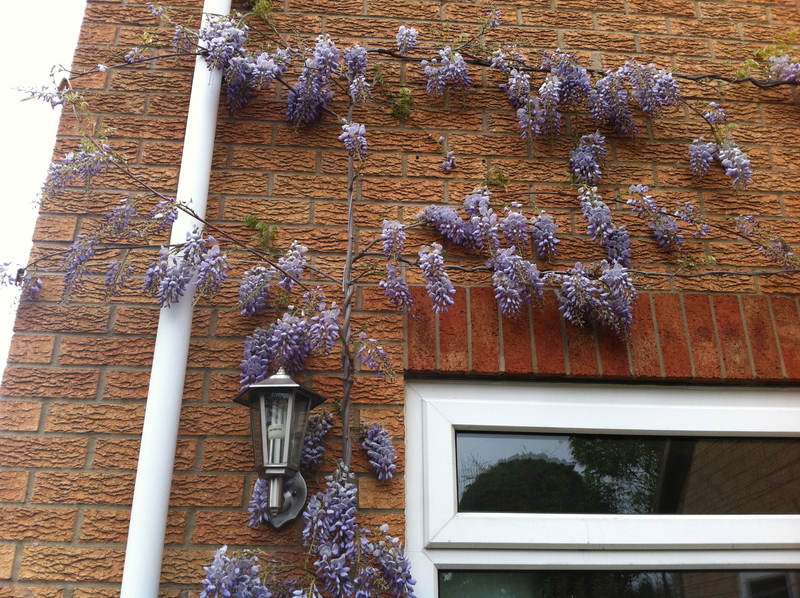 Year 1 (2009): Wisteria is bought from the local garden centre, planted and wire runners are fixed to the walls. It quickly takes hold and begins to grow. Right now it is flowering all along its length. Flowers closest to the roots have almost finished while those at the end are still in bud, waiting to open. Most of the wisterias around us have decades on our young plant, but if it looks like this in just a few years then imagine what it will look like at the end of the decade. One thing the picture can’t give you a sense of is the incredible perfume coming off the flowers. Waves of heady scent that hits you on a still day as soon as you step out of the back door. It just fills this part of the garden with the most incredible fragrance. For me, it’s the highlight of spring in the garden and will only get better each year.